3P Land Holdings Ltd, Mangalam Seeds Ltd, Transwarranty Finance Ltd and Ansal Housing Ltd are among the other losers in the BSE's 'B' group today, 15 April 2019. 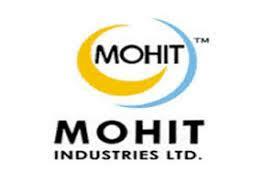 Mohit Industries Ltd lost 12.42% to Rs 8.25 at 13:46 IST.The stock was the biggest loser in the BSE's 'B' group.On the BSE, 22 shares were traded on the counter so far as against the average daily volumes of 2374 shares in the past one month.  3P Land Holdings Ltd crashed 10.00% to Rs 9.9. The stock was the second biggest loser in 'B' group.On the BSE, 4 shares were traded on the counter so far as against the average daily volumes of 198 shares in the past one month. Mangalam Seeds Ltd tumbled 8.73% to Rs 50.2. The stock was the third biggest loser in 'B' group.On the BSE, 301 shares were traded on the counter so far as against the average daily volumes of 5928 shares in the past one month. Transwarranty Finance Ltd corrected 7.07% to Rs 4.6. The stock was the fourth biggest loser in 'B' group.On the BSE, 1950 shares were traded on the counter so far as against the average daily volumes of 1656 shares in the past one month. Ansal Housing Ltd plummeted 6.36% to Rs 12.51. The stock was the fifth biggest loser in 'B' group.On the BSE, 4203 shares were traded on the counter so far as against the average daily volumes of 20556 shares in the past one month.